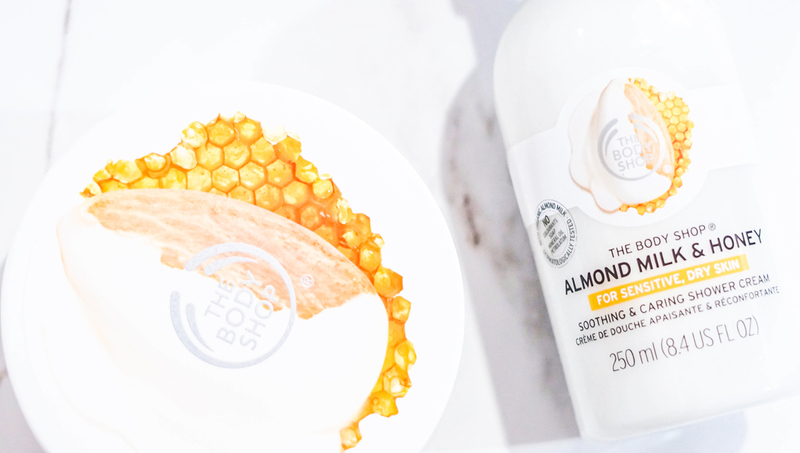 The first thing that comes to mind when you take a look at The Body Shop's Almond Milk & Honey Range, is how deliciously good the collection is. Mirrored perfectly with a white cream based packaging, the line is suited for those who have sensitive and dry skin. 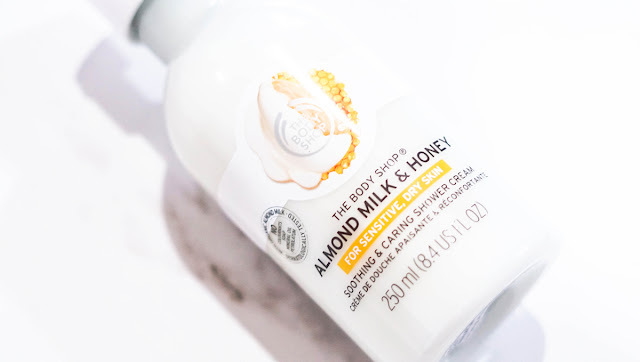 With this, The Body Shop also stays true to its form and gives a caring blend of 6 items - from a soothing body lotion to a creamy body butter - all with a lightweight, fast absorbing moisture that can last for up to 48 hours. 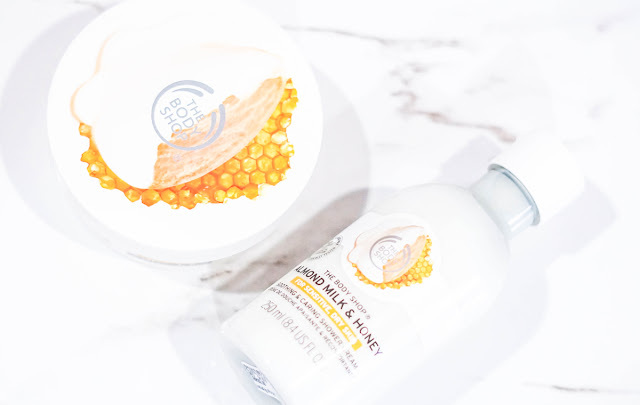 Two highlights that we have here, which is the Shower Cream and Body Butter, are absolutely lovely to use, especially when you need to tend to hardened skin. 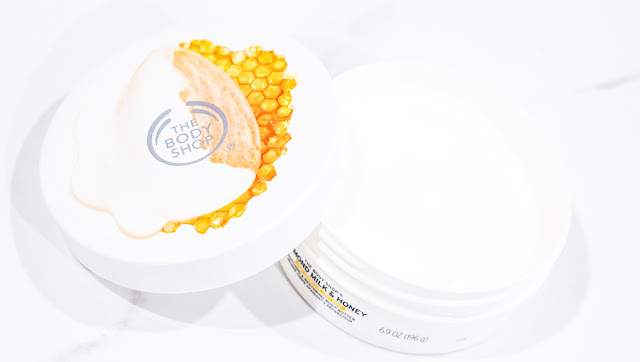 You can use them seamlessly together; first the Shower Cream to soften the skin during a hot bath, and next the Body Butter to protect and soothe the neglected areas right after with a 48 hour restore of intense moisture. Lightweight moisture that is fast-absorbing that can last for up to 48 hours. To protect and sooth dry hands. 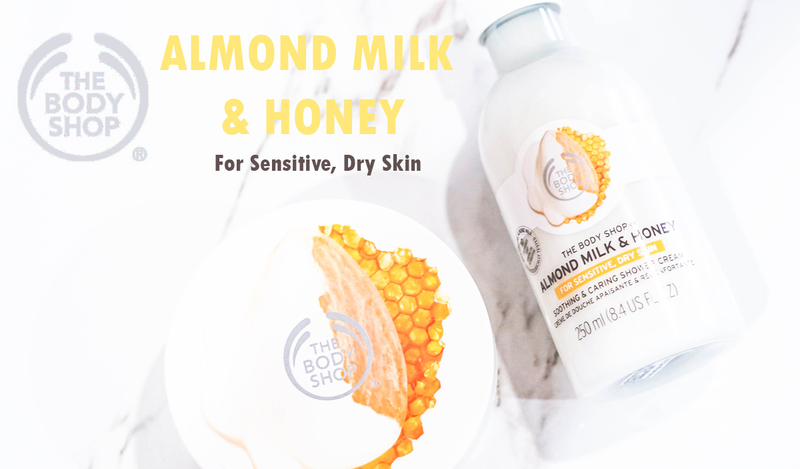 A rich blend of glycerin, soybean oil, shea butter, sweet almond oil, Vitamin E, Citric Acid & Sunflower Oil to protect sensitive and dry skin. Provides a clean feeling and works in harmony with the skin's natural moisture levels to ease tightness. Matches the pH balance of the skin so it does not strip it of moisture. Infused with real crushed almond shells, it buffs away dead skin cells and leaves the skin soft. Now the entire collection has already been made available at The Body Shop's Official Website and in stores, so you can certainly check them out there, but for more updates on the range and more, you can always head on over to their Official Facebook Page for further details. My mom has very dry and sensitive skin. She is currently using another product. Will get this for her to try. Thinking to get a lotion and this brand looks suitable to me. Will get 1 soon. Body Shop always produce the best product! I get to try this one last time when I visit Body Shop, and immediately fall in love with the scent. So nice! seems nice! will definitely go and have a try! wow got this, I wanna try too. shall head to the store soon. Almond milk and honey? Oh my~ I want to grab them real soon. This combination is seriously divine! I'm waiting for my current body butter to get over so I can get myself this one. Maybe in time for my birthday. There are so many goodness of almond milk!! Super smooth and moisturize too!! I like the scent and also the rich moisture of this range. I always have dry skin in the winter and I can definitely use some moisturizing lotion. Thanks for the review, I thing the almond milk lotion fits the bill.